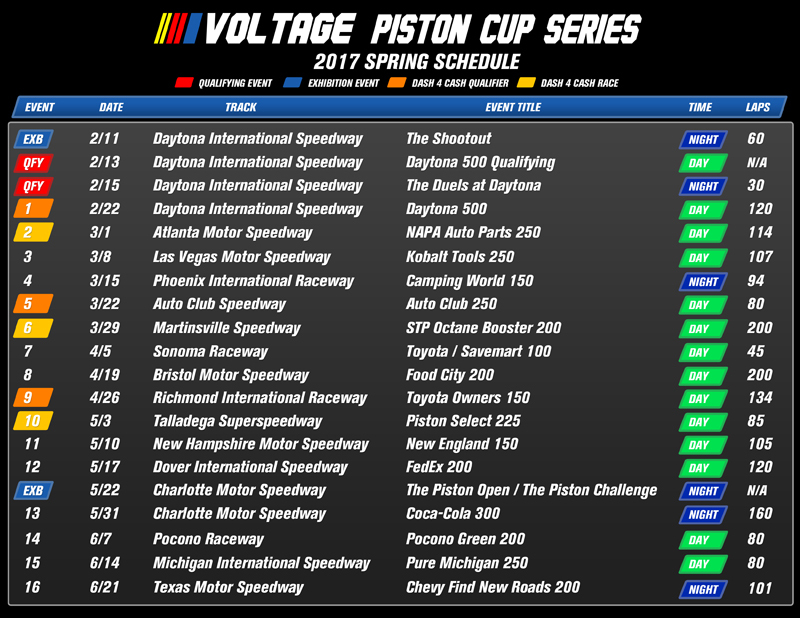 The 9th Season of the Piston Cup Series will use the MENCS17 mod with Cup physics. All templates should match 2017 Monster Energy NASCAR Cup Series Series spec. Drivers that participated in the prior season have the opportunity to renew and reclaim their number up until the beginning of the first race week. The deadline is July 1st, 2017 to reclaim your number. Please reclaim your number or release it by signing up as soon as possible.